Uterine fibroids, also known as myomas or leiomyomas, are the most common pelvic tumor in women of reproductive age. They occur in about 80% of hysterectomy specimens. The incidence rates were two to three times less in the Caucasian women compared to others. The etiology of reducing the incidence in Caucasians is unknown. Additional risk factors include early menarche, nulliparity and early exposure to oral contraceptives, a diet rich in red meat and alcohol, vitamin D deficiency, hypertension, obesity, and/or a history of sexual or physical abuse. Induction agents of ovulation are not associated with the growth of uterine fibroids. Caffeine is not a risk factor too, and smoking is associated with an actual reduced risk due to an unknown mechanism. Several specific anomalies of the karyotype have also been reported. For example, in Caucasians, the specific polymorphism of the transcription factor HMGA2 appears to be associated with uterine leiomyoma and a shorter adult height. Uterine fibroids are benign monoclonal tumors arising from smooth muscle cells of the myometrium. They are usually associated with pre-menopause, as their morbidity is parallel to changes in the life cycle of the reproductive hormones estrogen and progesterone. Prospective evidence has shown that between 7 and 40% of uterine fibroids regress during a period of 6 months to 3 years. Nevertheless, there is a wide variation in the growth of individual uterine fibroids in each woman. There is even more evidence of postnatal regression of myoma. Most women experience shrinkage of uterine fibroids during the menopause, although postmenopausal hormone therapy can lead to the appearance of certain symptoms. Symptoms also often depend on the location of fibrotic cells and the type of estrogen preparation. For example, sub-microbial fibromas and transdermal estrogen are associated with a higher risk of clinical symptoms after menopause. 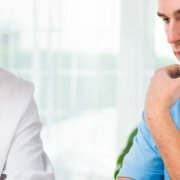 Reproductive dysfunction: uterine cavity distortion can lead to difficulty in conceiving a pregnancy, may increase the risk of miscarriage and is associated with other complications of pregnancy, such as placental abruption, fetal growth restriction, misconception and premature birth and childbirth. Uterine fibroids can lead to infertility in 1-2% of women. The proposed mechanisms include interference with implantation, uterine enlargement, or contractility. Fibromas are often described according to their location in the uterus. Those that distort the uterine cavity are more likely to affect fertility, as well as the results of IVF. For example, women with sub-mucosal or intramuscular uterine fibroids that protrude into the uterus are less likely to become pregnant with an increased risk of spontaneous abortion. Fibromas in other places, for example, near the fallopian tubular ostium or near the cervix, can also interfere with fertilization. 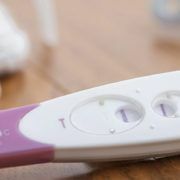 Subserosal myoma, in contrast, does not affect the results of fertility. 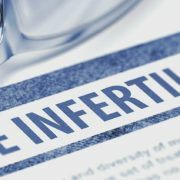 With regard to the results of IVF, one proof showed that the presence of intramuscular fibroid essentially reduces the likelihood of continuing the pregnancy after a supportive concept. Therefore, uterine fibroids should be ruled out in any woman with infertility, and removal may become necessary before pregnancy. 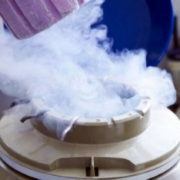 However, it should be noted that some treatments for uterine fibroids might subsequently affect future pregnancies. For example, uterine artery embolization (UAE) has a higher rate of miscarriage and premature delivery compared with myomectomy. The UAE also, apparently, increases the speed of delivery by caesarean section. Thus, myomectomy is the preferred surgical therapy for women who want to conceive. It has been shown that focused ultrasound surgery with magnetic resonance can also serve as a better alternative to women who want to become pregnant, compared with the UAE. For women who are pregnant with uterine fibroids, most of them do not experience complications associated with uterine fibroids. Almost 90% of the uterine fibroids found in the first trimester will regress with a total volume of fibroma with a reassessment at 3-6 months after delivery. 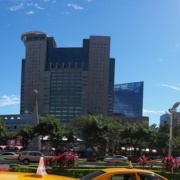 Looking For a Surrogacy Agent in China and Taiwan?